The OnePlus 6T might still be quite a new flagship smartphone, but it’s time to look at what we’re supposed to be known as OnePlus 7 in Australia. Although OnePlus phones are getting costlier than other flagship phones out there – but the fact is, they’re still cheaper – making the coming OnePlus 7 even more exciting. 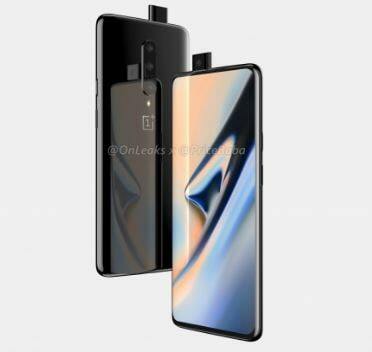 The OnePlus 7 Specifications include a bezel-less 6.5-inch Optic AMOLED FHD display with a screen resolution of 1080 x 2340 pixels at 396 PPI Density. It contains an aspect ratio of 19.5:9 too. The display is being protected by a Corning Gorilla Glass 6. The OnePlus 7 is equipped with three primary camera setups with 48MP + 20MP + 5MP resolution lenses, capturing great images over a wide area. On the battery department, OnePlus 7 has a battery of 4000mAh Li-Po with famous Dash-Charging support. There is an octa-core processor configuration under the hood (three Kryo 385-2.84GHz single-core, 2.42GHz, tri-core and 1.78GHz, quad-core, Kryo 485). The processors are accompanied by an 8GB/12GBGB RAM, which delivers quality performance during multiple tasks. The Adreno 640 GPU also addresses the system’s graphics needs. And a full setup is based on a Snapdragon 855 Qualcomm Chipset. This smartphone has an onboard memory of 128GB/256GB which is expandable no further. As far as system’s connectivity options are concerned, OnePlus 7 houses a Wi-Fi 802.11 a/b/g/n/ac, Bluetooth 5.0. 4G VoLTE, GPS, NFC and micro USB 2.0.